Your probably completely fed up of me saying my kitchen renovations reveal post will be up soon, it will be I promise. In the mean time I have been lucky enough to have some new gadgets to review and to accessories my new kitchen. So today I am showing you these very stylish Terraillon Macaroon scales, in frosted colour. Terraillon Macaron scales are available in 9 “flavours”: Frosted, Purple, Grenadine, Raspberry, Meringue, Liquorice, Strawberry, Tangerine and even Mojito, so perfect to colour co-ordinate with your kitchen. As my new kitchen is grey, white and wood, I felt the frosted silver would work well. 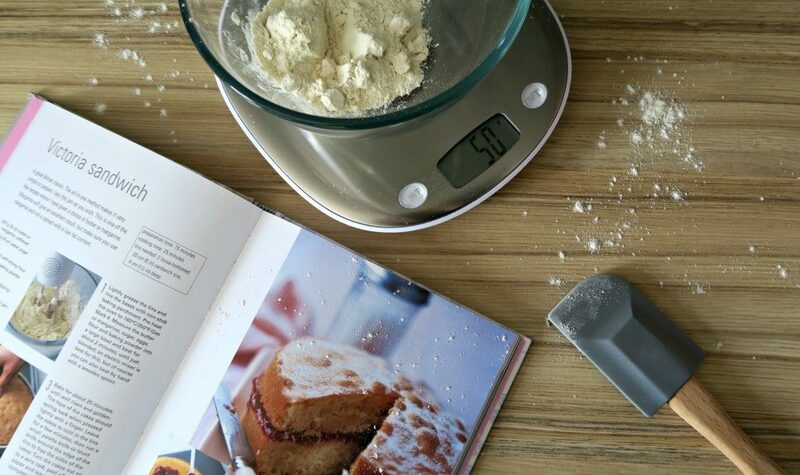 Included is a large weighing bowl, so if you are creating an all in one recipe, you can easily add your ingredients one at a time, and with one touch of a button it will go back to ‘0’ ready to add the next ingredient. What I really like is that the Terraillon Macaron scales can weigh grams and milliliters too. I don’t even have to dirty another measuring cup, less to wash up! Slim sized and lightweight, the scales could be easily stored or nice enough to keep out on the kitchen side. 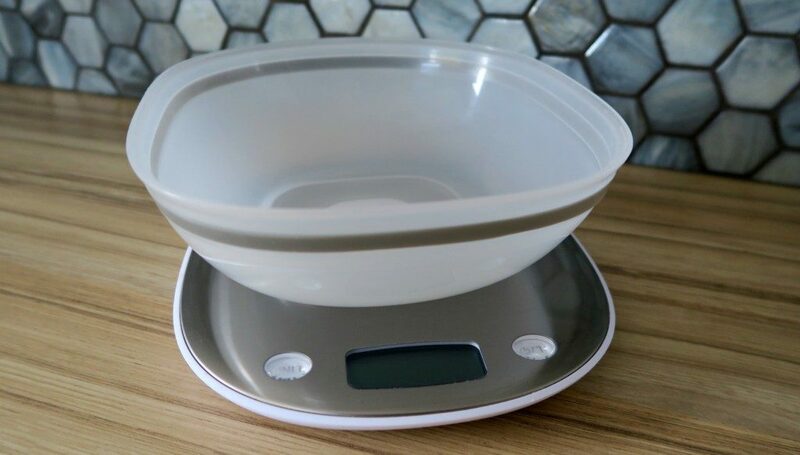 As the bowl isn’t attached to the scales, I can easily remove it if I want to place another bowl directly onto the scales. 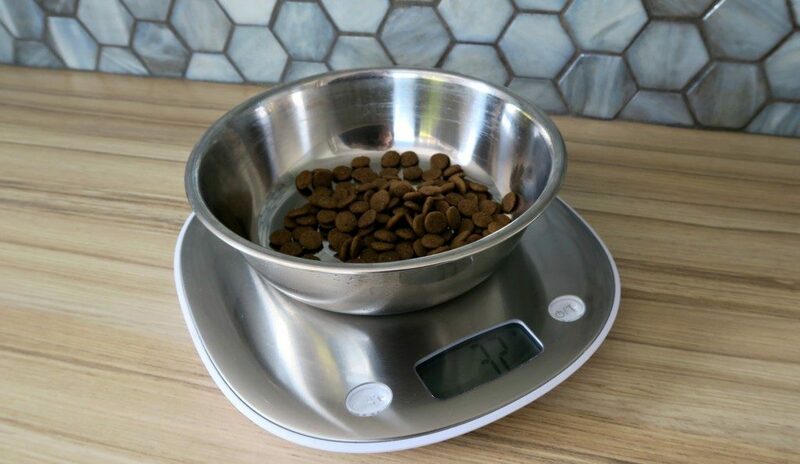 I have been using mostly for weighing Dixies dog food twice a day, I can place her dog bowls straight onto the scales, press the button to reset to ‘0’ and then add her food right to the gram. Terraillon Macaron scales are very precise and I really like that. You can have functions for g/ml lb.oz/fl.oz, and with a 5kg capacity the Terraillon’s Macaron scales are very flexible for all your recipes, and priced at £34.99 I think your be very pleased with them. Best off all, they have an auto switch off, for a forgetful person like me it won’t be draining the 2AAA batteries. You can purchase them from the Amazon links above, or throughout July they are introducing Terraillon’s Macaron Scales to Lakeland stores across the UK. 50*I was sent these scales for review, however all words and opinions are honest and of my own. These sound like great scales. I like that you can measure the dog food too, this would be very useful in our house. I like the idea of being able to measure in ml too. It also looks smart. Lovely review. These scales sound great. I really need to buy new kitchen scales.